Getting my kids to laugh and making them think are two of my very favorite things. I went on a mission to collect riddles for kids that will require a little brain power. As for making them laugh I have plenty of jokes printed out and ready to go (check out these math jokes for kids and knock knock jokes). I’ve included 15 riddles for kids with answers here. CLICK HERE to get all 30 in printable form. What goes up and down but does not move? – Stairs. Where do you find an ocean with no water? – On a map. What gets bigger the more you take away? – A hole. What can you catch but never throw? – A cold. What word becomes shorter when you add two letters to it? – Short. What has hands but can not clap? – A clock. What stays where it is when it goes off? – An alarm clock. What goes up and doesn’t come back down? – Your age. What gets wetter as it dries? – A towel. What belongs to you but is used more by others? – Your name. I’m full of keys but I can’t open any doors. What am I? – A piano. What comes once in a minute, twice in a moment and never in a thousand years? – The letter M.
Which word in the dictionary is spelled incorrectly? – Incorrectly. What is always coming but never arrives? – Tomorrow. What tastes better than it smells? – A tongue. 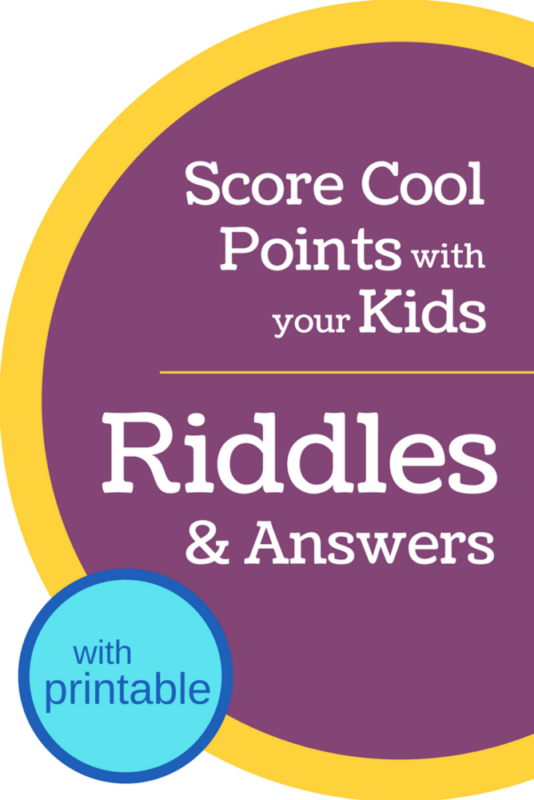 Do your kids have a favorite riddle? Include it in the comments. Such a fun way to get the kids thinking!